This is just beyond West Neck Beach, about two and a half miles down the road from where we live. 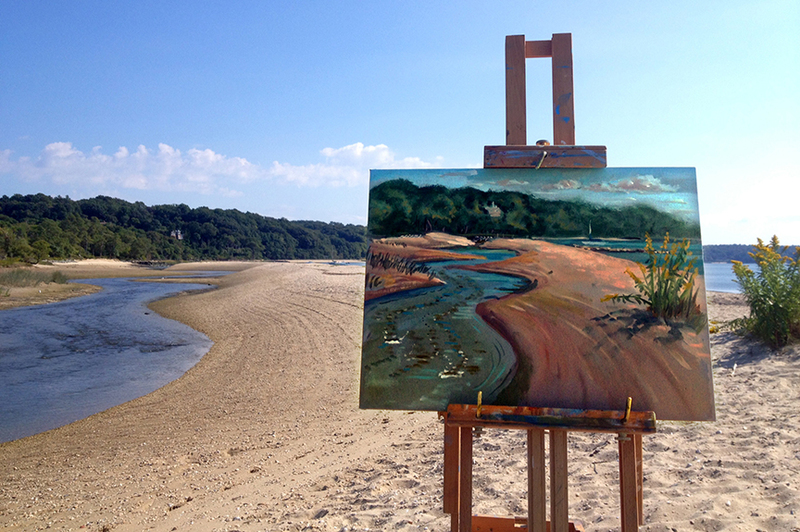 I set up my French easel and painted the tide running out on this brilliantly clear Friday afternoon at a little inlet along Lloyd Neck that empties into Cold Spring Harbor. 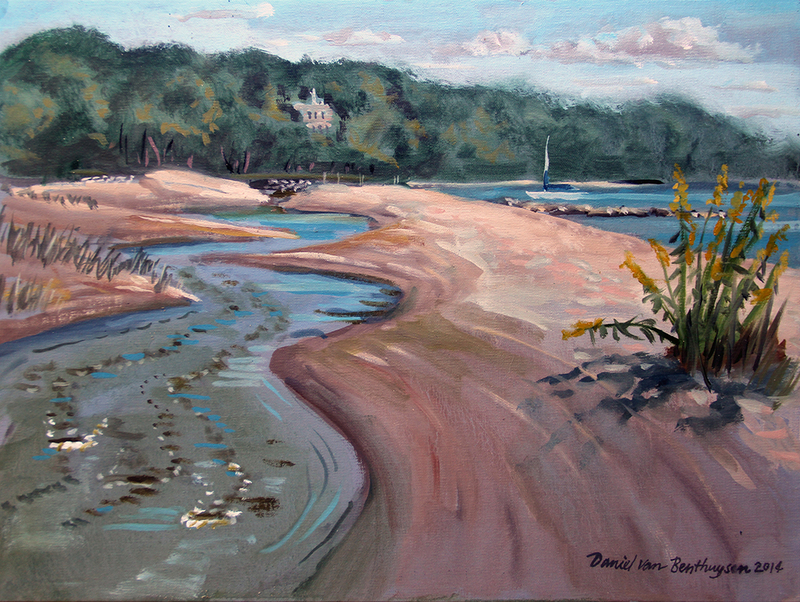 12 x 16 inches, oil on linen covered board, plein air, premier coup.